At Bumblebee Batteries, we have always had a simple goal. To give hybrid car owners peace of mind by providing the best possible quality, value, and support for hybrid battery replacement. Part of meeting this goal is to source the best quality parts for our batteries. Like most manufacturers of after-market parts for Japanese cars, in order to produce our batteries we source components from reputable suppliers from different parts of the world, including Asia. While we endeavor to use U.S. companies where possible, the reality of this market is that many of the necessary parts compatible with the vehicles we support are only available in Japan and China. Hybrid vehicle power systems such as those made by Honda and Toyota are complex and require specialized components and manufacturing methods to work properly in these systems. There are currently no U.S. based providers who have the necessary tooling, facilities, and scale of operations to make these parts cost effectively. Like many companies who source parts internationally, import tariffs are a common and accepted fact of life. Since Bumblebee Batteries opened its doors in 2012, we’ve been accustomed to paying import tariffs on most of our internationally sourced parts as a normal cost of doing business. We run a tight ship here at Bumblebee and have always absorbed these tariffs as part of our cost of operations in order to provide the lowest possible cost to our customers without compromising quality. 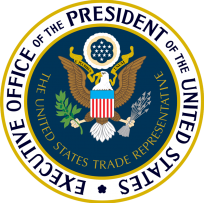 However, beginning this month the current U.S. presidential administration has imposed unprecedented new tariffs for the parts we use. Due to the massive amount of increase of these tariffs, there is simply no way for us to absorb them while keeping our costs manageable. Therefore, we are now forced to charge a fee to offset this unusually disruptive taxation which is outside of our control. Bumblebee Batteries is proud to be a U.S. based small business. From day one we have built our reputation by providing service with honesty, integrity, and commitment to providing the best possible quality and support to our customers and will continue to do so. We regret any inconvenience caused by this change, and as always welcome any questions or feedback you may have. P.S. At Bumblebee Batteries, we respect each person’s right to their own political views. We also recognize that a free and healthy society requires citizens who actively participate in the electoral process. Therefore, we encourage everyone to exercise their constitutional right and vote!